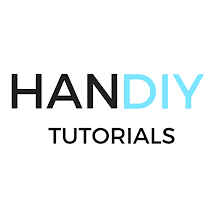 HanDIY Tutorials: Brett Birkeland! ALL CONFERENCE IN DECATHLON! Brett Birkeland! ALL CONFERENCE IN DECATHLON! Brett did it! He took THIRD PLACE! He made all conference as a Freshman, following two years of no training on his mission, and as a newlywed who's been commuting to BYU every day to make practices. I'd say it's quite the feat! It was a pretty dramatic finish. He was going in to finals in fourth place and was lagging the Air Force guy in third by around 70 points... and second place Wyoming by 175 points. It also just so happened that Air Force's favorite event was the 1500. Gripes.... But Brett ran his heart out and managed to beat the guy in second by over 30 seconds!!!! He bumped Wyoming to fourth place and beat him by 3 points! You can't write this stuff!!! It was incredible. He also had consistent solid performances in Pole Vault and High Jump. We are SOOO Proud! Pictures to follow! Dang! you've really got a winner there! Way to go Brett!